Is Rent Control Coming to Portland? In October 2015, Portland declared a housing state of emergency due to an extremely low vacancy rate, which has led to a significant increase in rents. Government entities and activists have been pressing state government officials to act to address these issues. State house speaker Tina Kotek proclaimed that the issue of Rent Control will be on the docket when the legislative session begins in February. Currently, Oregon does not allow for rent control, but tenant groups have been lobbying hard to change that. Rent Control does not have a single form – it can be a freezing of rents with a hard ceiling (cap), or regulations meant to keep rents from rising too quickly. The professed goal of those in favor of rent control is housing equity: residents who are being suddenly priced out should receive assistance in order to preserve stability. But is Rent Control the best tool for this? One of the main issues facing Portland currently is large scale in-migration, which is occurring faster than new units are currently being built. 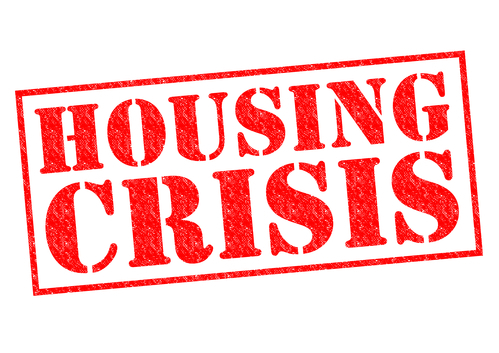 Our housing crisis can be viewed as a supply side issue, exacerbated by a lack of building during the economic downturn as well as complex zoning and permitting laws. It’s important to understand whether rent control has a positive or negative effect on investment and development. Because investment and development of multifamily housing units is a private-sector activity, the investors and developers who are building, purchasing, and maintaining these properties expect to see a return on investment. They have an interest in providing and maintaining quality units in order to maximize that return. Rents paid by tenants are used for building or purchase costs, property maintenance, and also provide an incentive for investment in additional units. Owners, investors, and developers do not work for the public sector, although housing is frequently viewed as a public service and as a right. If the essential players in housing growth and maintenance cannot make a return on their investments, many will opt to invest in some other financial product that provide a greater return. If rents are capped, owner returns are capped as well. Frequently this means tenants are required to fix and maintain their own units, or the buildings are maintained at minimum levels and not improved upon. Frequently, landlords find that it is much more beneficial to them to convert rental units to condos and sell them outright after rent control is enacted. In Cambridge, Massachusetts between 1970 and 1980, 10% of the city’s rent controlled units were converted to condos. If Portland’s issue is restricted supply, decreasing the number of rental units is less than ideal, especially if developers became discouraged by uncertainty. When supply is restricted, rents escalate rapidly. If rent growth is restricted in some segment of the market, the rest of the market is likely to see rent increases at an even more rapid pace. This was the case in Los Angeles, where within two years of enacting rent control, controlled rents had risen 13.7%, while uncontrolled rents had risen 46.2%. Developers should be able to charge market rates for their apartments. In 1985, economists found that the annual budget for the City of Cambridge’s rent control related activities was $700,000. At the time only 18,000 units were rent controlled, which meant taxpayers were spending $40 per unit on regulation enforcement alone. Residents not lucky enough to “score” rent controlled housing suffer for a variety of reasons—aside from rents escalating to effectively subsidize those in rent controlled units. There is evidence that when a landlord does not have the money to properly maintain a building, the building’s condition deteriorates and the assessed value of the property decreases. Again, developers are unlikely to tear down an existing building and build a new one at a higher value if they risk losing their investment due to the possibility of rent control. The resulting drop in tax revenue results in deterioration of public services in the area as the building itself deteriorates and value of nearby housing also drops. In the short term, this may sound like a positive impact—if the cost of nearby unregulated housing drops, doesn’t that mean rent is cheaper? The answer is yes; but rent decreases because the neighborhood is no longer a desirable place to live. If a tenant gets a job opportunity far from his apartment, he must either turn the job down or face a significantly longer commute. The lack of mobility also means lack of turnover, which effectively limits who benefits from the program as soon as it is enacted. In many instances, these people hold onto their rent controlled apartments even after their income has increased and subsidies are no longer necessary. In his 1997 article on the removal of rent control policies from Cambridge, William Tucker cites the example of Berkeley students who were the beneficiaries of rent control in the 1970s and remained in those apartments throughout their professional careers—to the extent that students in the 1990s struggled to find housing. In Boston in the 1980s-1990s, an estimated 26% of rent controlled units were occupied by renters whose income was in the bottom quartile, while 30% of units were occupied by renters whose income was above the median. This should not be the case in a program designed to aid the most vulnerable residents of a rapidly growing city. Ensuring that the people who need it most are the ones receiving assistance is one of the biggest difficulties of rent control. Rent control creates winners and losers immediately. Frequently, the winners hold onto their apartments for as long as they can, and transfer them to family members when they choose to leave. The scarcity of rent controlled apartments means there are many more people applying for those apartments than there are apartments available. Since investors are already engaging in a fairly risky, low reward endeavor by owning a rent controlled building, they cannot afford to pick tenants who are less likely to make regular, on-time payments. A program meant to aid low-income residents should not punish developers and investors. Politicians and the government should encourage continued growth on the supply side, while providing aid to the most vulnerable members of the community. Rent control puts the burden of public housing on the shoulders of investors, thus discouraging continued investment, and it does so for the benefit of a select few. Attracting new development and increasing the housing supply is crucial to increasing housing affordability. Targeted programs such as direct financial assistance to needy renters based on actual income would be more affordable over the long term, and would ensure that assistance is given to the people who need it without placing additional burdens on investors, landlords, and developers. Rent control has never been a successful policy. The short-term benefit of immediately getting a few people into housing they can afford simply kicks the issue down the road, while decreasing housing affordability for those who lose out. We should be encouraging developers and investors to bring money to the Portland housing market rather than threatening them with costly regulations that are detrimental over the long term.